UPDATE 10/6/16: We are releasing a hotfix today that fixes the Linux version of the game as well as some other issues. Resolved Linux client startup crash when the player had too many Workshop mods. 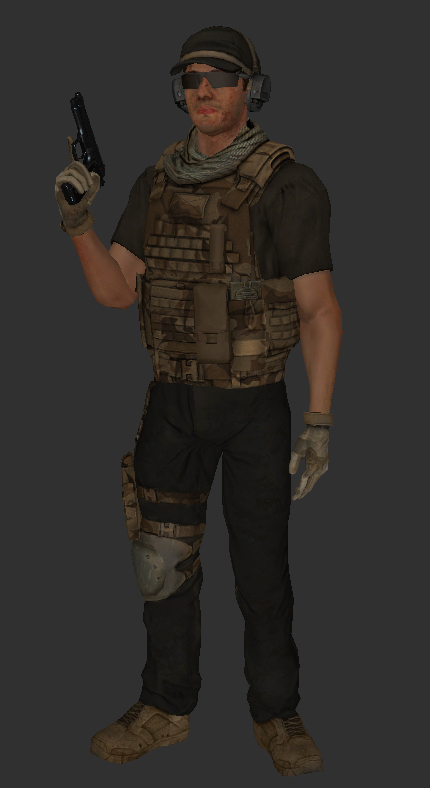 Fixed vests not displaying properly on character models after resupplying with a new vest. Fixed C4/IEDs and RPGs/AT4s unintentionally appearing in the official Competitive theater. NOTE: Graphics settings will be reset, so please be sure to set your graphics options to your preference after you download the update. 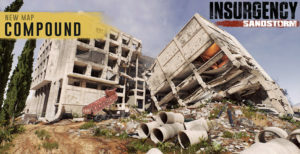 We are releasing a patch for Insurgency today that features all new Ambush scenarios, work in progress penetration-based armor, updated character models with equipment representation, competitive changes, and more. We’ve changed the game rules as well as many layouts for Ambush, the goal being to revive the mode by making it more fun and competitive. 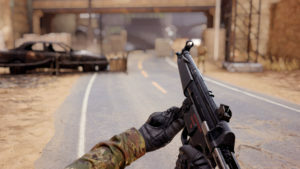 The mode now always has a single extraction point, which changes each round. The added and updated scenarios have been added to the official tactical and competitive playlists. Please give us your feedback on the new layouts via our forums, and let us know what you think. We are currently working on penetration-based armor, which has now been introduced to cooperative and competitive modes in the game. When this is enabled, visible armor on characters function like real armor, instead of simply adding extra health points to the character’s chest/stomach area. When we’ve received enough feedback and have had time to balance the damage model properly, we will introduce the feature to regular multiplayer. 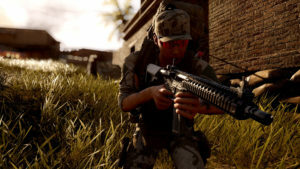 In the meantime, modders may enable the penetration based armor via theater files, and it may be tested on the cooperative and competitive playlists. 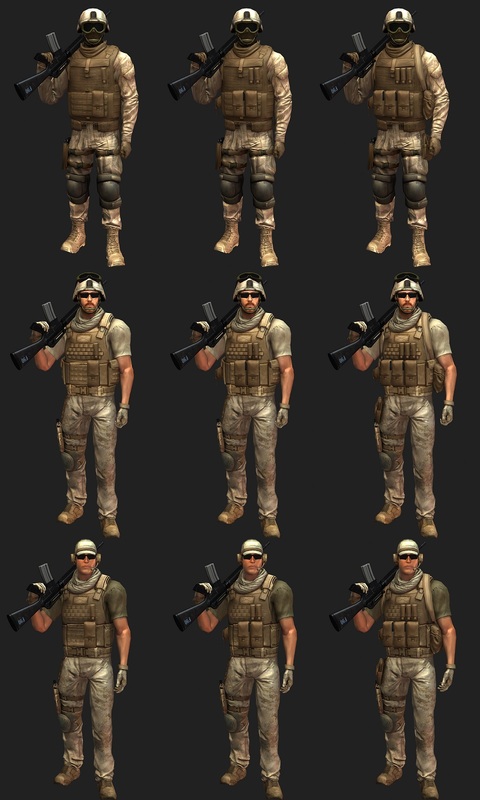 We have updated the player models in Insurgency so each character visually represents the armor and vest (or lack thereof) he is wearing. 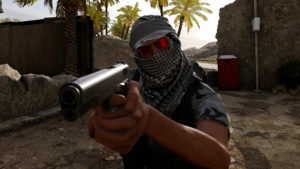 They have also been changed and improved visually, in particular the Insurgents and Security VIP. These character changes were necessary to pave the way for penetration-based armor. Workshop creators please take note, these changes will break any mods with player model replacements. It will not break player retexture mods, however their clothing/look will be shifted around. The Security No Armor model will show up as a vanilla skin because of our changes. 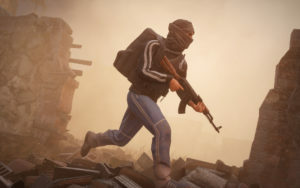 We’ve updated the competitive playlist to include the new Ambush mode with all new layouts and implement an all new supply gain economy accompanied with new equipment loadouts and class templates. 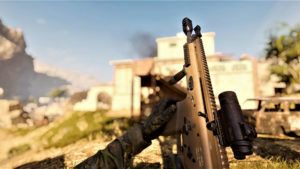 As rounds progress, players will earn supply, allowing them to use new weapons they might not have had access to at the beginning of the match. Supply is gained each time you capture an objective, or get 5 kills/assists. We have also added Skirmish mode to the playlist. The new work in progress penetration based armor is also now included in competitive to give greater value to armor and a proper purpose to AP/HP rounds. Once you try it out, don’t hesitate to share your thoughts on how well you feel it works via our forums. We are currently in the process of setting up anti cheat for the game. It will run for all of the game in comp, PvP, and coop. This is not yet ready to be implemented into the main game experience, but it is something we are currently testing among other things on our beta branch. If you would like to join our developer beta tests, be sure to join our the community group here to get an event notification when we have tests. Players models are now visually representative of their armor and gear choices. New work in progress Competitive theater which includes penetration-based armor and supply economy. Updated third person crouch leaning animations and crouch idle positions to line up better with where the first person camera is. Raised Ambush player count needed for 2 active control points to 16 players. When Ambush is in single control point mode, the game will now alternate between the two points rather than randomizing it. New Ambush mode map layouts. Added Ambush and Skirmish mode maps to the Competitive theater. Fixed score reset when mp_restartround is run on the server. Fixed props disappearing in Verticality when shader settings are set to Very High. Fixed SourceTV being unable to join full coop games. Fixed a restricted area that allowed spawn camping in Buhriz Push. Fixed a restricted area in District Push. Fixed an invisible wall in Dry Canal. Fixed miscellaneous issues in various maps.